Have a great Summer, pets! http://blog.lockhartacademy.com/wp-content/uploads/IMG_1274-1.jpg 2448 3264 Maria del Carmen Cabello http://blog.lockhartacademy.com/wp-content/uploads/New-Academy-Logo-v.2.0.png Maria del Carmen Cabello2018-06-14 16:11:172018-06-14 16:11:17Have a great Summer, pets! http://blog.lockhartacademy.com/wp-content/uploads/EBA3C711-A556-493F-B498-40220A999626.jpeg 4032 3024 Melanie de la Peña http://blog.lockhartacademy.com/wp-content/uploads/New-Academy-Logo-v.2.0.png Melanie de la Peña2018-04-24 16:29:152018-04-24 18:48:234TH GRADERS IN L'ARRABASSADA: Experiment: "Bottled tornado"
4TH GRADERS IN L’ARRABASSADA: How do you feel today? http://blog.lockhartacademy.com/wp-content/uploads/BC3E1A95-365D-4BEC-8BD6-8ED5E1711D6F-1.jpeg 3024 4032 Melanie de la Peña http://blog.lockhartacademy.com/wp-content/uploads/New-Academy-Logo-v.2.0.png Melanie de la Peña2018-04-23 16:26:512018-04-24 18:45:314TH GRADERS IN L'ARRABASSADA: How do you feel today? Today we want to share with you a super special day that the 3rd graders lived some days ago. Last Wednesday 15th, it was the 1st birthday of our pet, Mr. Snow-wolf!!!! We had lots of fun. We did different special activities. First, we prepared a small sponge cake for him and, of course, we sang happy birthday! Then, we played some sweet activities using cookies and all the students wrote birthday cards for Snow-wolf. We were soooooo happy! Here you have a photo in which there appear all the students of 3rd grade A, Teacher Melanie and Snow-wolf just after singing the happy birthday song. See you soon and remember, if you see Snow-wolf around the school… congratulate him!!!! http://blog.lockhartacademy.com/wp-content/uploads/New-Academy-Logo-v.2.0.png 0 0 Melanie de la Peña http://blog.lockhartacademy.com/wp-content/uploads/New-Academy-Logo-v.2.0.png Melanie de la Peña2018-03-27 16:55:092018-03-24 16:56:08HAPPY BIRTHDAY SNOW-WOLF! 6th graders in l’Arrabassada: ¡GUESS WHO! We are sure that you know the famous game called “Guess who”, in which you have to ask questions to your opponent in order to guess who is the person hidden in his or her card. 16 pictures (they can be of your friends, members of your family or famouse people). Two cardboards of different colors, for example, one red and another one blue. First of all, you need to cut 16 squares in one of the cardboards. But… be careful! You don’t have to cut them completly, only 3 of it’s sides. They are going to be the “tabs” you need to play the game. Then, you need to cut the photos and stick them in the squares. Finally, you stick the cardboard with all the photos in the other one. As you can see, they did one using the images of all of them and some famous singers and actors they like. Feel free! We hope you like as much as we do! http://blog.lockhartacademy.com/wp-content/uploads/New-Academy-Logo-v.2.0.png 0 0 Melanie de la Peña http://blog.lockhartacademy.com/wp-content/uploads/New-Academy-Logo-v.2.0.png Melanie de la Peña2018-03-25 16:49:552018-03-24 16:51:176th graders in l'Arrabassada: ¡GUESS WHO! 5th graders in l’Arrabassada: DISCOVERING LONDON! One of the session was dedicated to the London guards: they made a puppet and a poster with all the information about them. Do you know that they are divided into 2 detachments? The Buckingham Palace and St. James’s Palace. Now you know where you can find them! 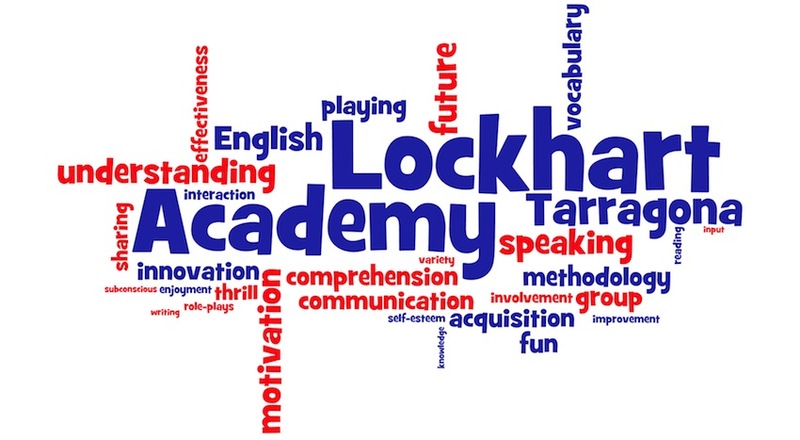 http://blog.lockhartacademy.com/wp-content/uploads/New-Academy-Logo-v.2.0.png 0 0 Melanie de la Peña http://blog.lockhartacademy.com/wp-content/uploads/New-Academy-Logo-v.2.0.png Melanie de la Peña2018-03-21 19:45:142018-03-24 16:49:335th graders in l'Arrabassada: DISCOVERING LONDON!